I loved 2012 - it challenged and rewarded, questioned and encouraged, made me laugh and made me cry but overall, I think I handled it pretty well. And that's what it's all about. Not about hoping 2013 is good to you, it's hoping that you'll be good at coping with what 2013 throws your way. It's about being a better, more rounded, stronger person at the end of it because you met the challenges head on, asked for help when you needed it and helped others along the way. And that's about as deep as I'll get on this blog! 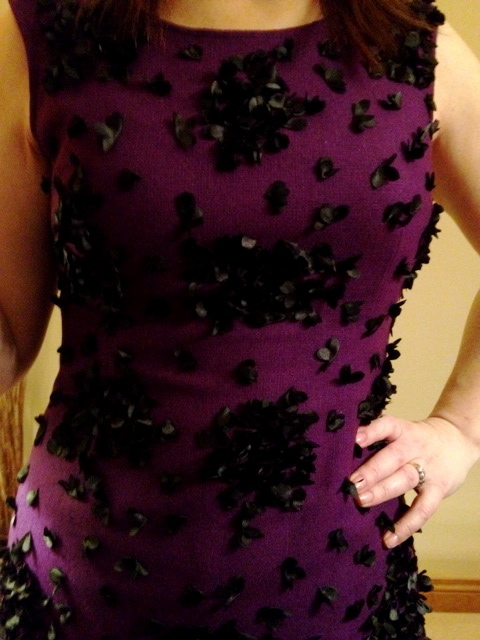 Wearing a purple wool dress with black appliqué detail that I picked up in a wee boutique in Moira last Christmas. 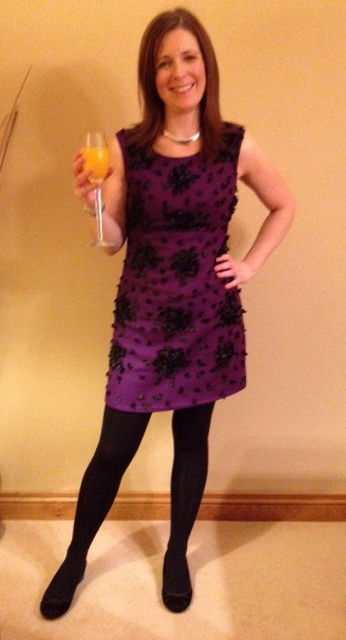 In fact, it was my Christmas Day dress for 2011. I wore it with my flat pony skin pumps from M&S (remember this post earlier this year - they were the only pair I kept!). Super comfy for working in the kitchen. A thoughtful and htought provoking thought. Happy New Year Avril. love the dress, love the quote! Happy new year! I love the dress on you! Gorgeous dress Avril:) Happy New Year to you and your lovely family!